All-Area Softball Coach of the Year Edinburg Vela coach Jon Maples poses at Edinburg Vela High School on Tuesday, June 5, 2018, in Edinburg. 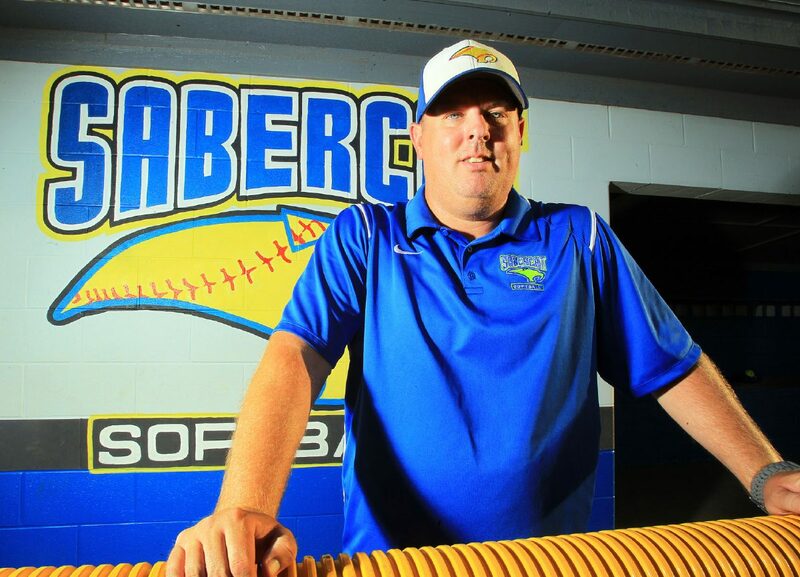 Edinburg Vela’s Jon Maples is The Monitor’s All-Area Softball Coach of the Year. EDINBURG — Edinburg Vela coach Jon Maples had a statement to make about his team during a preseason photo shoot at PSJA High. He was asked where he thought the SaberCats would stand at the end of the season. Reyes, the eventual All-Area Pitcher of the Year, was not exactly enthused with her coach making his prediction public. The 2018 season eventually proved Maples’ sanity. 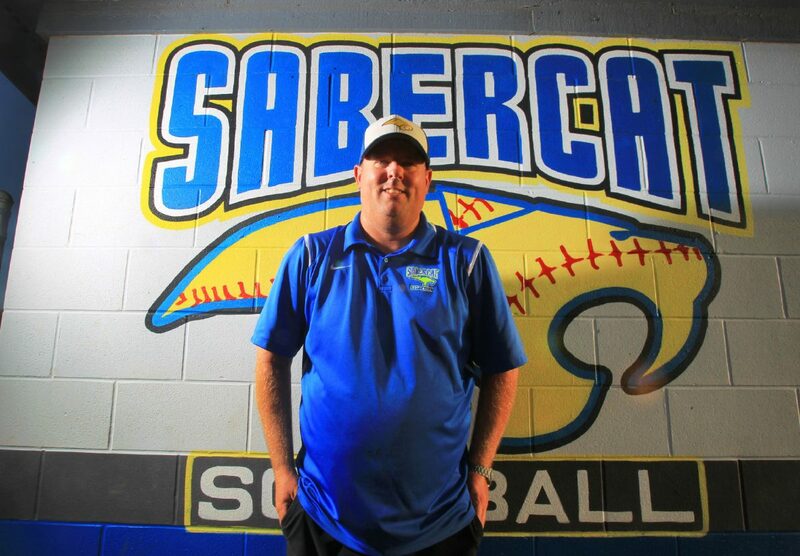 The SaberCats finished the year with a program-record 32 wins, their first appearance in the regional semifinal round of the postseason and Maples’ first honor as All-Area Coach of the Year. The SaberCats won 18 games in 2017 but quickly put the Valley on notice at the beginning of 2018. Edinburg Vela advanced to the championship game of the Mission Fastpitch Festival before dropping the final to Weslaco High on Feb. 17, then won the La Joya tournament title over Los Fresnos on Feb. 24. After beating Edinburg High during the Festival, Edinburg Vela couldn’t solve the Bobcats, who swept the SaberCats in district play. The district sweep ended Vela’s chances at a district title. Edinburg Vela exacted revenge on Weslaco High by taking two of three in the bi-district round of the playoffs. The SaberCats swept Laredo Alexander in the area round and then won a one-game playoff against Harlingen South to reach a Sweet 16 matchup versus San Antonio Warren. Because San Benito lost its one-game playoff against New Braunfels Canyon in the fourth round on May 18, Vela was the last Valley club standing before being swept by Warren on May 19.